The study Nielsen Norman Group & showed that 60% of senior Corporation will watch the video than read the text because it is a faster, easier and engages more senses. Possession of movie advertising on your site helps also in purely technical matters-as RealSEO says, there are 53 x high yield black more likely (so, make no mistake-the chances are growing of thousands of percent) to be highlighted on the first page of search results in Google, if the company has a quality video on your site. Fashionable in recent times, video presentations and 3D products make it in accordance with the said examination of the N&N Group, 64% of the potential customers are more likely to buy a product after seeing a movie about it. You give so that definitely worth to create advertising films video. What should contain the promotional video, to be effective? Big budgets spent on promotional videos are associated with the possibility to use advanced technology, but they are not always necessary to achieve a good effect. Often, more important are the ideas and the content itself, that appeal to customers through emotions and build brand awareness much more effectively than the unprecedented image quality. Assuming that you know your audience and you know who you’re targeting video, you can use several methods to create a video ad that will help you. The idea behind the action is important not only in the case of religious organizations or charities. Motivates people much more strongly, than a list of features and benefits, therefore, create your mission and vision, which will be worth implementing. Communicating with taking into account the following points will help you win these who believe in similar ideals. If the money were not irrelevant, what would be the purpose of my business/product? If I could, what would change in the world with the help of his business? If I could change something in the life of the client, what would it be? What would be the ideal impact that I would like to have your product? With the channel so engaging, like a movie, you can’t rely on presenting data as if you were at the meeting. Always understand that Apple, which, despite the advanced technology used in the device, put great emphasis on building relationships, giving and fulfilling promises about the benefits of using products and told stories that transported to another world. Advertising film without emotion is burnt, it uses the natural capability of this channel-influence picture and sound, and so are, facial expressions, gestures, speech, music. In the film, advertising does not have enough space to dry what on a piece of paper. As the Buffer, company dedicated to marketing and marketing development of the same name, emotions are the most important from the point of view of the effectiveness of marketing, and the data are falling by the wayside. This does not mean that you have to completely eliminate the logic from your media, but be aware that in the B2C sector is not the most important. 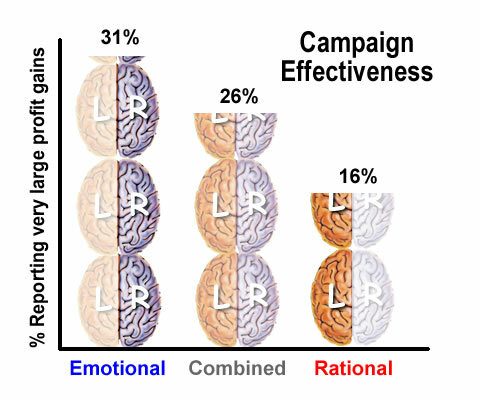 What is the impact on the recipient’s emotions can have my product, even if it is more “logical” in its operation? what rational benefits of product? How do I turn them on the emotions and show it in the video? For example. a product that from a logical point of view, purified water, emotionally can give a sense of security and peace of mind about your own health and life, pride, because taking care of ecology, comfort due to automation of the process. How do I show it on film, to stir up such emotions instead of dealing with logic? Directly with emotions involves storytelling, which in the film works perfectly. In the case of product ads it is important not to rely on a dry presentation. With moving image, why talk about the speed of the car, when you can show how fast actually is? It not only stirs up emotions in implementing section 2 of this article, but most of all gives evident confirmation of what you say, that is true. What I want to pass on the film? How do I avoid describing, and instead show it directly? what the recipient should figure out based on subtle clues? How do I make actually noticed and realized as planned? Anyone really not interested in the company, or characteristics of the product. The brand, which constantly praise they build some degree of social proof and trust supported by results, but that’s not all, because people looking at ads and buy products to get something for yourself. The basis for the film advertising should be focusing on the life of the customer, what will he lived after the purchase. How to change? What would be great? Which will avoid annoyance? What does my product/service and how it can change your life? What it will release what he will, where it will lead? If this is what I sell is used in 100% correctly and effectively, what changes zaszłyby in the life of the customer? What excitement and opportunities will appear with these changes? How do I show it, instead of talking about it, to really feel? Knowing the preferences of their audiences, you can effectively get to them through advertising film using basic four rules for creating effective communication. Remember about the possibilities of influencing the senses, what gives you the video and use them by showing things, rather than describe them in words, and calling the emotions, rather than serve the dry data. By this the film will be more enjoyable in the receipt and more often viewed, which will translate into interest in the brand and its image.